Hey! You kids! What are you doing out of your restraints? What are Head Alien’s rates? Child care is expensive, and if he’s not billing any parents for this, then sign me up. 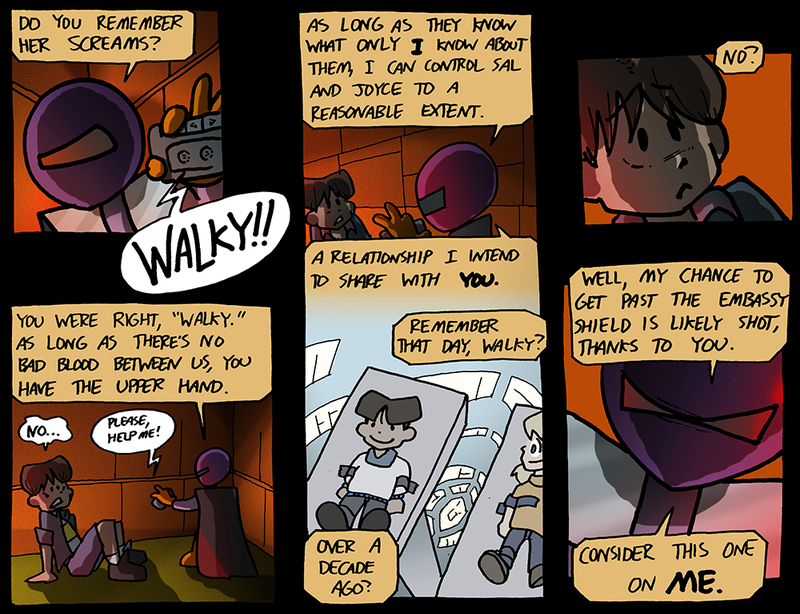 We’ve seen snippets of Joyce and Walky’s first meeting during an abduction while they were little kids, but never the whole thing. For reasons. WELP, STRAP IN. Look, if it’s a flashback, you can tell jokes again. That’s the rules. Do you remember her screams? 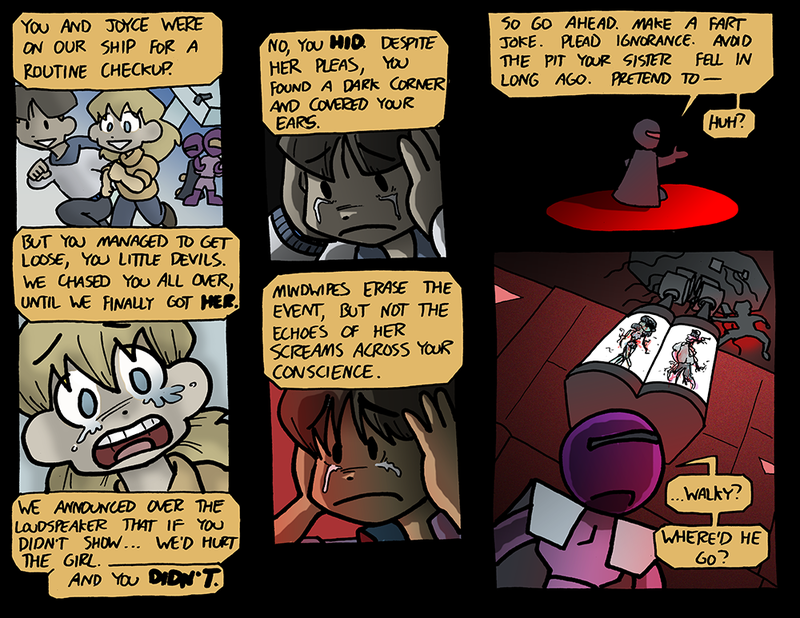 That whole telekinesis thing probably should have been implemented at all later on. Really feel like this could have been handled with an email or something. They had email back in 2000, I’m pretty sure.